As long as they continue to offer fans what they want, they will always triumph over Xbox, Pachter says. In a sense, one could argue that Microsoft’s struggles this generation are not unlike the struggles that Sony faced with the PlayStation 3 in the early half of the previous generation- but where Soy managed to turn things around with the PS3 spectacularly, leading to renewed momentum that allowed them to catch up to Xbox 360, and launch the PS4 from a position of strength, Microsoft has been unable to mount a similar comeback for some reason. They’ve earned goodwill and reversed a lot of the damage to their reputation that was done with the original Xbox One reveal- but they continue to lag behind the competition i the market. Why is that? 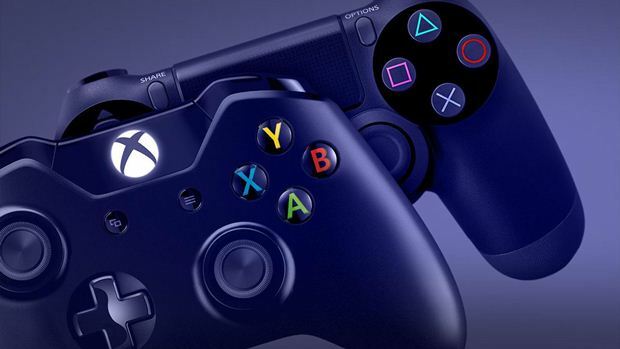 According to Wedbush Securities analyst Michael Pachter, that’s because of Sony’s massive fan base that it (deservedly) won with the PS1 and PS2, which Xbox simply cannot hope to compete against. “I think that Sony did something magical with the original PlayStation, and built on it with the PS2, and had their 160 million household install base,” Pachter said to GamingBolt. “I frankly think that had they not screwed up with PS3, they would have dominated that cycle as well. So all that really happened is they got back their fanbase with the PS4, that’s really all that happened. I think that people that grew up playing games on the PS1, if you say “name a console”, they say “PlayStation”, because that’s what they like. So I think Microsoft was fighting an uphill battle with the Xbox and Xbox 360, and the Xbox 360 worked mostly because Microsoft launched first, which was Sony’s screw up. Second, because Microsoft was better at multiplayer- remember PS Home?- so Microsoft figured out multiplayer, and Sony weren’t sure that people really wanted it, ad they weren’t good at it. They were priced higher, and that was a $200 price advantage Xbox had at launch, which it held on to for a year or two. It took Sony a long time to get competitive with the Xbox. Those advantages that Sony could tap into with the PS3 are not present for Xbox with the Xbox One- and that’s why Xbox has been unable to pull off a comeback like the PS3 did. According to Pachter, these advantages will ensure that Sony always wins in the marketplace, as long as it delivers what its customers expect. I don’t know, personally, if Sony will always win- that seems to me to be far too certain a statement in a marketplace that has proven itself to be mutable and fickle. That said, I do think that Sony’s massive brand loyalty and nostalgia, much like Nintendo’s, will enable them to always have an advantage against the Xbox- even on an even playing field.